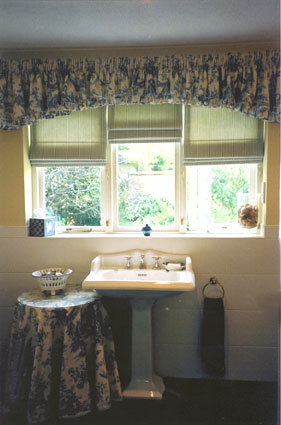 This 1970’s en-suite bathroom saw massive changes with shower cubicle, privacy wall and made-to-measure units removed. 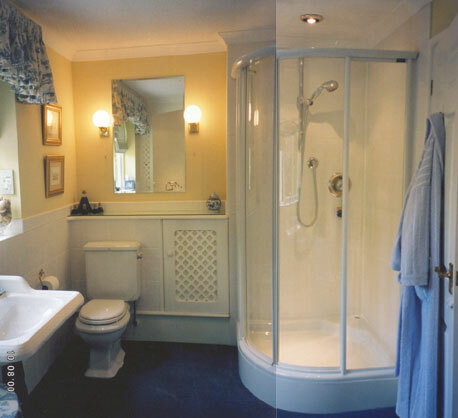 A Showerlux Showeround 1000mm cubicle was used with the Aqualisa recessed mixage shower unit. A full height service duct was built at the back of the shower cubicles to conceal all new pipework. 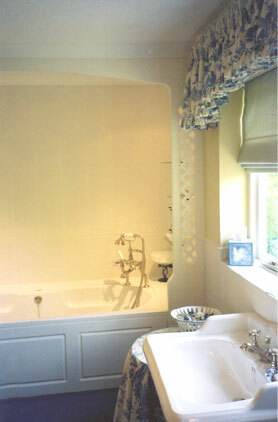 The new bath was also manufactured by Showerlux and saw the design and construction of an arch over the bath with low-voltage down light above. 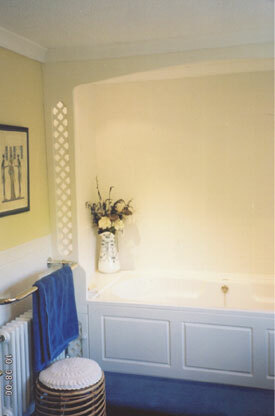 The bath panel was constructed on site using MDF board. was fitted around the ceiling to accommodate the new arch and service duct.